On alternate Saturdays, my school bussed a number of sports teams to other schools in the county. Despite fraternal intentions parochial rivalries were played out on the playing fields of Lincolnshire. Sport, as George Orwell wrote, is “war minus the shooting”. The back of the coach was strictly for the big kids, the 16 year olds on the football team. As this was January 29th 1966 they were young Mods, sharp & smart. I was 13 & my mum still bought my clothes. She thought that Ben Sherman was a Scottish mountain. I was there by default , making my first & only appearance for the chess team ! They really could not find anyone else dumb enough to press-ganged into giving up their afternoon. My skirmish for the honour of our alma mater would take place in a musty hut posing as a school library. In 1963 the UK was busy with our own Beat Boom & we had missed “Little” Stevie Wonder’s smash US hit “Fingertips”, a live, wild & wonderful harmonica hullabaloo from the Motortown Revue (with Marvin Gaye on the drums). “Recorded Live: The 12 Year Old Genius” was a #1 LP in the USA. It followed “Tribute to Uncle Ray”, an attempt by Tamla Motown to link their artist with another blind African-American musician. The miniature moniker was dropped but a set of lounge singer standards was inappropriate while “Stevie at the Beach” just sounds wrong. “Uptight”, his 5th release, was a big step forward. Stevie contributed to 5 of the songs including the surging, stomping title track. This time around the covers included an assertive, swinging version of Dylan’s “Blowing In the Wind”, a Top 10 hit single. Stevie, just 15 years old, came to Britain to promote “Uptight” & became a permanent part of the Motown manifesto, a key contributor to the Sixties soul scene. His singles were not the label’s biggest hits but, with the assistance of producer/mentor Clarence Paul & of Hank Cosby, there was a consistency & quality about his releases. With 6 LPs in 3 years there were still a number of syrupy ballads, ill-judged covers & even a 1966 Xmas album (soon be time to dig that one out). 1967’s “I Was Made To Love Her” was as perfect a two and a half minutes of pop-soul rush as you could wish for. The following 45s were classic too. “I Was Made…” was co-written by Stevie’s mother, Lula Hathaway. It’s easier to stand your ground against experienced producers when your mum has got your back. A 1968 “Greatest Hits” collection marked the end of Stevie’s musical adolescence. Tamla Motown were reluctant to change a winning formula so an instrumental LP was released on a different label, Gordy, under the name Eivets Rednow. “I Don’t Know Why I Love You” is a flexing of his musical muscles, A spare arrangement features the Hohner clavinet keyboard now favoured by our young man. The song builds to a crescendo & Stevie’s soul shouting. I loved this more rugged sound, so did the Jackson 5 who gave it the full Motown makeover while the Rolling Stones recognised a song built around a great rumbling riff. Here the “Hollywood Palace” band are no match for Detroit’s Funk Brothers but Stevie rocks out on prime time TV. The next year saw Stevie taking on more production duties while still giving Motown what they wanted. The “My Cherie Amour” LP has a fair share of easy listening including the title track & a song from the musical “The King & I”. The 2 live LPs from 1970 have a touch of cabaret about them too. Stevie Wonder turned 20 in that year, of course he was taking notice of the funkification of Soul, of a growing concern with social issues in both lyrics & in a wider context. “Signed, Sealed & Delivered” opens with 4 tracks displaying his growing range & creativity. “Never Had A Dream Come True” develops his ballad style, there would be more like this. “We Can Work It Out” is an electric version, side 1 track 1 of any Beatles cover mixtape worth its soul. 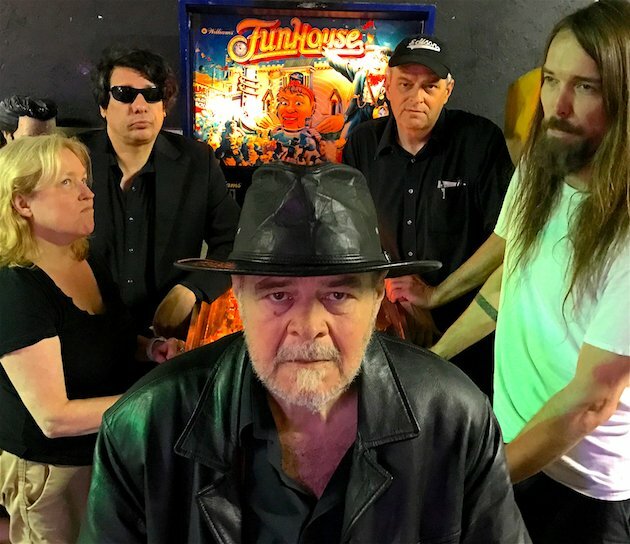 The title track is followed by “Heaven Help Us All” written by long-time contributor Ron Miller. “Heaven…” is another song with a slow build & the most conscious of Stevie’s work to date, tougher than “Give Peace A Chance” but still a song of hope. On “The Johnny Cash Show” Stevie’s fro is starting to grow & he has ditched the smart suits for a more pimped look. Pity they didn’t get the sleeves finished for that blue costume. 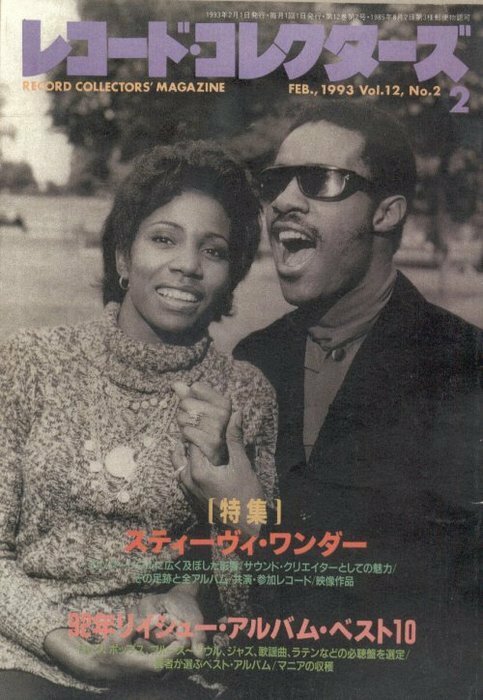 In 1970 Stevie married fellow Motown artist Syreeta Wright &, as his contract came towards its end, to consider a life beyond Motown. “Where I’m Coming From” (1971) was handed to Motown as a done deal. If he was going to stay with the label then change was gonna come. All the songs are written by Stevie & Syreeta & it is self-produced. In the same year Motown’s other male solo star, Marvin Gaye, released “What’s Going On”, a mature soul masterpiece. “Where…” is not as focussed as that LP Stevie was not yet 21 & was still experimenting. “Do Yourself A Favor” is a slab of irresistible funk, “If You Really Love Me” a Top 10 hit & “Never Dreamed You’d Leave In Summer” a heartbreaker that Wonder sang at Michael Jackson’s funeral. This is some coming-of-age record. Stevie Wonder was now ready to enter what a good friend calls his “Imperial” phase, a blaze of creativity & fulfilled talent stretching across albums of such quality that match the work of anyone in popular music. I love that music, it’s what I reach for when I need a little Wonder in my life. In the live clips shot around 1972 Stevie is grooving to his inner rhythm, playing with his band & obviously enjoying his new freedom. I do find the period when he was leaving “Little” Stevie behind, trying out new things, breaking free of the commercial constraints of his label, absolutely intriguing. It did not all work but the 3 tracks here are classics which sit comfortably with the music that was to come. Oh yeah, that chess match. 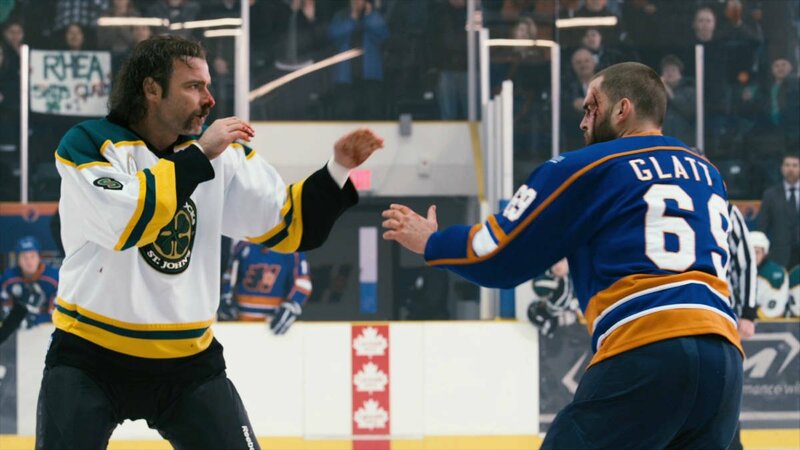 I won it in a canter (then retired undefeated) before mooching over to watch the older guys with the style win their game. I was no grandmaster but I was a little flash ! In 1970 Willie Mitchell took over the output of Hi Records in Memphis. His production talents & his nonpareil house band made Al Green one of the biggest soul stars of the early part of the decade. While O.V. Wright was not on his label Mitchell made some definitive Southern soul with the singer. Another protegé, Syl Johnson, released some fine tunes that sound like impressions of Green. It was his female star, Ann Peebles, who made the most distinctive records of this time that were not by “the Prince of Love”. Ann is known for her biggest hit “I Can’t Stand The Rain”, covered by many artists of taste & for “I’m Gonna Tear Your Playhouse Down”. “Rain” was sampled in 1997 by the always interesting Missy Elliott. From 1969 to 1975 she collaborated with Willie & made a run of great records which all have the unmistakable feel and precision of the Hi house band, the 3 Hodges Brothers, Al Jackson Jr & the Memphis Horns (Wayne Jackson & Andrew Love). “Beware” is from 1975. There will be no more of these gems. A collection of Ms Peebles’ work, including B-sides if possible is a lovely thing. 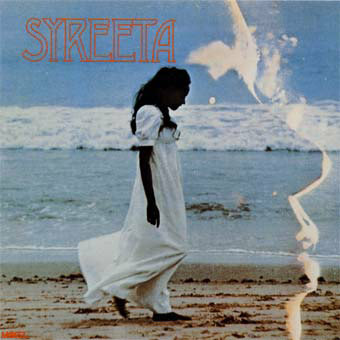 From a year earlier Syreeta’s “Spinnin’ & Spinnin'” is from 1974’s LP “Stevie Wonder Presents Syreeta”. The couple were divorced in 1972 after an 18 month long marriage. They continued to work together, This is the 2nd record that Stevie produced for her & all the songs are either his or are co-written with Syreeta. It is a delightful record, Stevie had produced “Perfect Angel” for Minnie Riperton (Oh My !) in this year & there is a similar lightness of touch. He was also working on “Fulfillingess’ First Finale” at this time & Syreeta’s record fits right in there with his unbeatable music of the first half of the 70s. Well, I’m too old to make a fool of myself on a dance floor but in Chaka Khan’s case I may make an exception. “Once You Get Started” is a 1975 single from “Rufusized” the 2nd of 6 Top 20 LPs in the US. The band had gotten started with a hit “Tell Me Something Good” written for them by Stevie Wonder. The “& Chaka Khan” was added for the 2nd LP. You can see why. The young & beautiful Chaka was compared to Tina Turner & Aretha, she was a star. In 1978 her first solo LP included the Ashford & Simpson written smash “I’m Every Woman” but she did return to Rufus to record with them. A final recording session with the band produced “Ain’t Nobody”, a prized possession for anyone who had the 12″ vinyl single. Then it was off to Prince for “I Feel For You” & deserved legendary status. Watch the clip again…she’s great. In the late 70s the sweet soul drifted into Disco &, I feel, some individuality was lost. I mean Donna Summer was good but…It was soon impossible to go a whole day without hearing something by the Bee Gees &, Jah knows I tried. These lip-synch clips from a Dutch TV programme are a high quality chance to hear some great music & see some great artists in their prime. I was looking through the discography of Tamla Motown’s UK releases…because a man loves a list…”Hitsville USA” indeed. There are so many stone dead classics, now part of our musical DNA. The Supremes, the Four Tops, Stevie Wonder, Marvin Gaye, the Temptations, hit record after hit record. There are other great releases which did not make the same golden impression but were from the same Motown stable of producers, writers and musicians and are of the same high quality. Here are just three which I have been able to select with no great brain strain on my part. The Marvelettes were early successes for the label. In 1961 the unforgettable “Please Mr Postman” (covered by the Beatles, no less) and the totally forgettable “Twistin’ Postman” were hits. By the mid-60s they had been eclipsed by other female groups but in 1967 they struck an artistic and commercial seam which brought more success. “My Baby Must be A Magician”, written and produced by Smokey Robinson, was the group’s third Top 30 record of the year. It’s a great smooth Smokey song, Melvyn Franklin off of the Temptations booms the introduction then Marv Taplin does something with a guitar that you have to be in the Magic Circle to know how it’s done. The Internet Oracle, Wikipedia, tells us that the Marvellettes quit in 1970. In the early 80s I saw three ladies of a certain age perform as the group in support of Graham Parker & the Rumour at the Hammersmith Palais in London. Now I have no idea if any of these songstresses were Wanda Rogers, the lead singer on “Baby” or indeed if any of them had ever even been to Inkster, Michigan. The group performed “Postman”, “Don’t Mess With Bill”, “Hunter Gets Captured by the Game”, “When You’re Young & in Love”…all the hits. No-one cared who they were and showed their appreciation of a fine act. You do not get to see live, in colour, performances of Motown acts very often. This clip of Junior Walker & the All Stars is wild and astonishing. The signature of the “Sound of Young America” was soul with sophistication but Junior, older than the other stars, was straight gutbucket R&B. The shouting sax player hit big with “Shotgun” and the hits just kept on coming. He would Walkerize songs from the Motown catalogue and in the dancefloors of UK mod clubs were jammed when they were played. The records are not as rugged as we see him here. The British audience are open-mouthed as they get to see such a great American soul act. It’s a treat to see the Ram Jam Club too. I have Cockney friends who never tire of telling of the time they saw Jimi Hendrix play in this Brixton dive. I frequented the same venue in the 80s when it had transformed into the “Fridge”. It was an innovative and popular hang-out but the old Mods would always crack on about the old days being better than the todays. Looking at Junior Walker and the All Stars tearing up the place they may have been right. “I Can’t Give Back The Love I Feel For You” is the 1968 debut 45 for Syreeta Wright. Written by the team of Ashford and Simpson who’s songs were so wonderfully interpreted by Marvin Gaye and Tammi Terrell. (On this one they were assisted by Brian Holland, one of the amazing brothers). It was not a hit and Syreeta did not make too many records for a while. What she did do was fall in love and marry Stevie Wonder. They wrote hit songs together at a time when Stevie was distancing himself from Motown and feeling his way towards a more mature sound which was to pretty much take over the world. 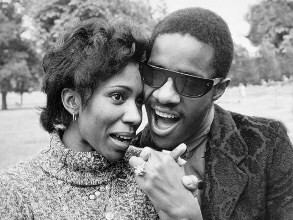 The marriage did not last but the couple worked together on 2 Syreeta solo LPs which are fine companions to Stevie’s great run of recordings in the early 70s. I was on to Syreeta from the beginning because this fine single was released under the name Rita Wright and…that was my mother’s name ! What else could I do ?